The following guidelines for recording finds under the UKDFD scheme are designed to ensure that material uploaded to the database is of a satisfactory quality to facilitate identification and contribute to the scheme’s value as a research resource. Failure to adhere to the guidelines may result in rejection of the record. Images should preferably be produced by digital photography, and must be sharp and of a sufficiently high resolution to permit identification. Images produced by scanners are only likely to be acceptable if the scanner has a lens system. Most modern printer/scanners do not meet this requirement. The image quality is of paramount importance. Unless a minimum standard is met, it will not be possible to identify the item, and the record will not be of any value to users of the database. For tips on producing images by digital photography, see Photography Tips. For tips on producing images by scanning, see Scanning Tips. The only acceptable file format is jpeg (jpg). Images should be 24 bit colour whenever possible. Individual image file sizes should be in the range of 50KB to 150KB. Very small file sizes may result in an unacceptable record, due to lack of detail, and images with file sizes exceeding 250KB may fail to upload. The object, including any drop-shadow, must be completely and comfortably within the frame (i.e. not cropped close to the edge). The background must be plain, ideally white, but at least neutral and not brightly coloured, patterned or textured. If Blu-Tack or hands are used to support an object for photographing, they must be positioned such that they are not visible on the image, or removed from it without trace prior to uploading. The object and the background must be clean and free of loose debris, soil and corrosion products. The lighting must be uniform across the image, not light at the top and dark at the bottom, or from one side to the other. Any drop-shadow must be light and transparent – don’t photograph in direct sunlight. The object must be in sharp focus. Coins, buttons and other flat artefacts must be photographed squarely, not obliquely, in order to prevent distortion. To avoid unsightly shadows, coins, buttons and other flat artefacts must be photographed lying on a flat surface, not stood on their rim. The photograph must be correctly exposed, neither too dark, nor too light. Images of objects must be correctly orientated. 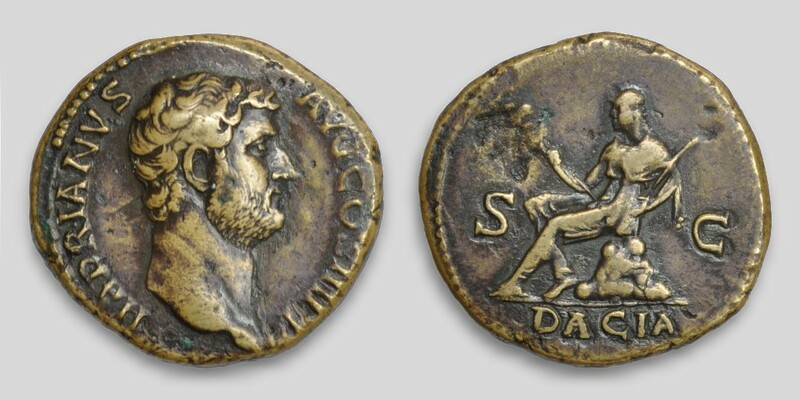 For example, coin images must always show both sides the right way up. Please note that inverting photographs after they have been taken is unsatisfactory, due to the reversal of lighting. Post-photographic processing of images should be undertaken, as necessary, to remove surplus background and correct any shortcomings in respect of the foregoing requirements. Please note that existing records should not be used as a basis for assessing image quality requirements. Please complete as many of the data fields as possible, and take care typing to minimise any errors. Certain fields are mandatory, and it will not be possible to proceed unless these are completed. They include those for providing basic information (e.g. material and size) required for identification, and those for providing minimum details regarding the findspot (parish). Spurious information entered into the mandatory fields will result in rejection of the record. All dimensions must be in millimetres and all weights must be in grams. If possible, dimensions should be recorded to at least one decimal place and weights to at least two decimal places. Coin legends and other inscriptions should be typed in upper-case letters. Other fields should be completed in ‘sentence case’ letters. Prehistoric stone tools and weapons, metal artefacts that date before circa 1650, and coins up to 1662 are eligible for recording on the database. Nondescript and irregular fragments of metal and badly worn coins are exceptions to this general rule. Later finds are restricted to the categories listed below, in order to exclude material that would add little or nothing to existing knowledge. Within the listed categories, certain objects may be deemed ineligible by virtue of their condition (damaged, corroded or incomplete) or the frequency with which they are found. It is not practical to describe and list all such objects, so where there is any uncertainty, recorders are advised to seek guidance via the forum before uploading. Please note that eligibility should not be assumed on the basis of existing records on the database. Some records exist solely to provide a representative example of a particular class of object. Others pre-date changes to eligibility criteria. Please note that post 1662 coins, other than those listed above, are not eligible.